What about high fructose corn syrup and cancer? But there’s no fructose in natural foods! OK, we need to start with science. Just because it has a long complicated name, high fructose corn syrup is just a sugar. I’ve written a detailed article about HFCS, “High fructose corn syrup – don’t be afraid, it’s just sugar,” if you want the gory scientific details of HFCS and some of the myths about its health effects. But let me summarize the science here. First, we need to define what is meant by “sugar” in a biological sense. And no, it’s not just that white stuff you put in your coffee. There are over 20 individual, naturally-found sugars, called monosaccharides, meaning they are the simplest sugar molecules, the basic unit of all carbohydrates. Of all of those 20 monosaccharides, only 4 play any significant role in human nutrition: glucose, fructose, galactose, and ribose (which has a very minor nutritional role, though a major one as the backbone of DNA and RNA). Got that? These four monosaccharides are probably the only ones that can be absorbed and metabolized by human physiology. There are other monosaccharides found in nature that can be consumed, but they either just feed the gut flora, or are enzymatically converted into one of the four basic sugars in the digestive tract. Now there are a many more sugars that you can consume. Disaccharides, which are sugars made of two covalently bound monosaccharides, are quite common nutritionally. For example, sucrose – a disaccharide made of one molecule of glucose bound to one molecule of fructose – is one of the most commonly consumed disaccharides. When you eat it, the digestive tract breaks it down into its constituent sugars, fructose and glucose. There are many disaccharides that you consume, like lactose and maltose, which are also broken down by enzymes in the gut into one of the four simple sugars that our body can absorb. Complex carbohydrates, or starches, are called polysaccharides – they are long chains of monosaccharides, sometimes up to thousands of them. Some carbohydrates can be broken down by the body into its constituent sugars, but some are indigestible. These indigestible carbohydrates are sometimes broken down by the gut bacteria, but not always. Dietary fiber are mostly indigestible (even by bacteria) polysaccharides. Let me repeat this – humans can only absorb monosaccharides, exclusively glucose, fructose, galactose and ribose. In other words, all of those disaccharides and polysaccharides that you consume in your food must be broken down into the constituent monosaccharide before it has any usefulness for a human. For example, the gut has a variety of different enzymes that break down these starches and disaccharides – so sucrose itself cannot be absorbed, but it is broken down by sucrase into glucose and fructose, then absorbed. There is one more crucial point to note about these sugars, which will be important as we move along with this story. Fructose is 1.73 times more sweet than sucrose despite having the same exact caloric content. So technically, you could use about 58% less fructose than sucrose to get the same sweetness. You’re probably seeing where this is going, but stay tuned. In case you fall for the naturalistic fallacy, that is, “natural” sugar is better than all other sugars, you could be missing a key point – all monosaccharides are exactly the same, no matter the source. Glucose, fructose, galactose or ribose, whether produced by a plant, an animal, a bacteria, or a manufacturing facility in Iowa, are exactly the same molecule. They are all made of the same exact carbons, hydrogens and oxygens. Fructose in an apple is no different than the fructose in HFCS. The fructose and glucose in pure sugar cane is no different than the fructose and glucose in HFCS. Not to beat this point into a pulp, but I cannot believe the number of people who think that there are different fructose molecules depending on where you get. This is one of the major misconceptions of the pseudoscience of the natural food world, that somehow a sugar from a living organism is magically different from a sugar from a manufacturing plant. I can make fructose in a test tube with the right starting materials. I can also get fructose from honey, fruits, and just about any other living plant or animal. But all of those fructose molecules are indistinguishable by modern chemistry techniques or by living organisms. If you consume fructose from sugar cane the body will react and absorb it in the same way as if you consumed HFCS. So please don’t endow HFCS with some special properties that it simply lacks in the real world. Just to add some specificity to this discussion, HFCS itself consists of 24% water, and the rest fructose and glucose. The water just makes the fructose and glucose into a syrup, so you could dry out the water and have nothing left but dried fructose and glucose. Once again, nothing magical or special about this. One more thing. “High” fructose corn syrup isn’t really all that high in fructose. HFCS is about 55% fructose and 42% glucose, which is only 5 percentage points higher than the amount of fructose in table sugar, sucrose. That is probably not biologically significant. Frankly, whoever invented the name HFCS ought to be reprimanded. But there’s more. The HFCS used in some beverages and foods is really only 42% fructose (and 53% glucose), which is really low fructose corn syrup to be clear. There’s another thing about the somewhat high fructose version – since fructose is almost twice as sweet tasting as sucrose, actually less HFCS is necessary in a beverage to create the same amount of sweetness. Those who buy into the anecdotes that sugary drinks made with real cane sugar is “better for you,” actually you’re consuming more sugar per drink, which is demonstrably less safe over a period of time. There are over 200-250 different cancers. Each of these cancers have a different etiology, pathophysiology, and treatment. Lumping all cancers together as one disease completely mischaracterizes the disease. So if you’re going to claim that HFCS, or anything else, causes cancer, my question is which cancer (followed by, what’s the evidence). There are really only a few things that significantly lower your risk of cancer – quitting smoking is the major one. 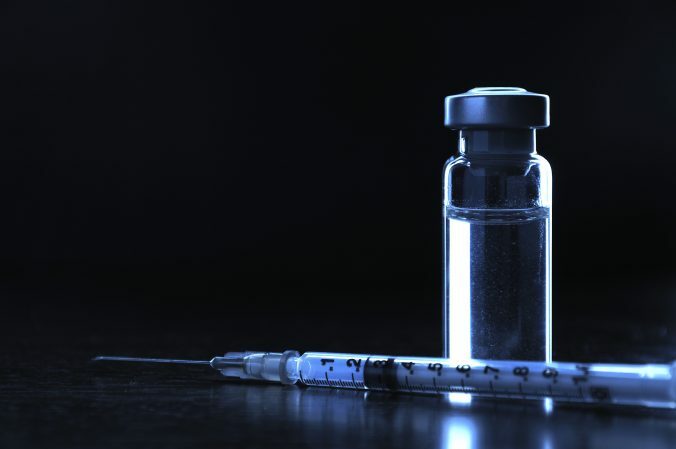 But staying out of the sun (and tanning beds), getting vaccinated against Hepatitis B and HPV, keeping a healthy weight, get some exercise, and eating a balanced diet all help to significantly reduce your risk. Sugars are not related to cancer. Now, it’s possible that reducing sugar consumption will help you maintain a healthy weight (which means being pretty skinny, to be honest), which could lead one could argue there is a link between sugar and cancer, but it’s an indirect link. So that’s the two minute class on cancer. It should be useful as we look at the potential risks of correlation between high fructose corn syrup and cancer. Therefore, fructose is a particularly significant dietary sugar component with important implications for patients with cancer, particularly given the significant dietary change that has occurred in human fructose consumption since the mid-20th century. Our findings provide important insights into recent epidemiologic studies that have identified refined fructose as an independent risk factor for pancreatic cancer, and identify fructose-mediated actions as a novel therapeutic cancer target. Let’s discuss this article, starting at the meta level. It is a primary study in a test tube. On the hierarchy of scientific evidence, it’s pretty low down the list. As far as I can tell, the research has not been repeated in nearly seven years, a severe indictment on the validity of the study. Moreover, the study did not show that fructose caused cancer, which, if it did, we’d pretty much have to give up eating, given the ubiquitous nature of the sugar across all foods. The article is attempting to claim that fructose is an important sugar sugar for cancer metabolism. Finally, and most importantly, the proliferation of these pancreatic cancer cells seemed to be the same in both high glucose and high fructose growth medium. And I was really bothered by the concentration of fructose in that medium. It seems very high, much higher than we would see in blood levels of a normal adult, unless they drank HFCS straight from the bottle for a few hours. And at that point, I’d be concerned that such a person would have other issues. There are other studies, outside of the one Wolfe mentioned, that looked at high fructose diets and cancer. Some show that cancer cells metabolize glucose into fructose to “feed” itself. Some show that fructose has no effect on cancer growth. But there are no epidemiological studies that show an increased risk from HFCS and any type of cancer. In fact the best study I could find showed that there was no link between high sucrose (which is 50% fructose) consumption and gastrointestinal cancer. None. Now, as I wrote previously, HFCS is not really not linked to any health issue other than those that are caused by high consumption of any sugar. Trying to make HFCS into an evil “chemical” ignores other issues with excess sugar consumption. About the best I can say about high fructose corn syrup and cancer is that reducing sugar consumption may lead to lower weight, which has been shown to reduce cancer (broadly speaking) risk. Uh, no. And this has got to be a key point. 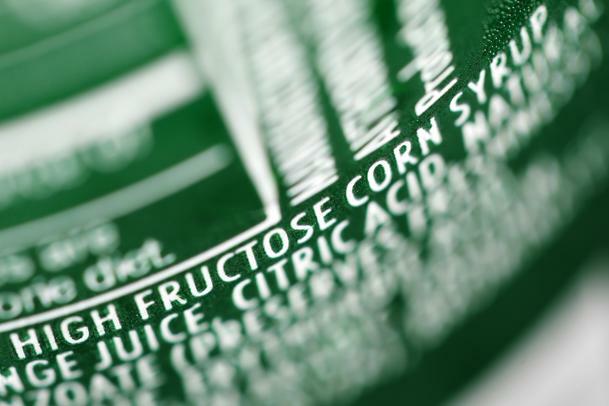 If you think you can avoid fructose by avoiding HFCS, you’d be so wrong. Honey: about 17% water, with almost all the remainder being sugars. The main sugars are fructose 38%, glucose 31%, maltose 7%, sucrose 1.3%, other sugars 1.5%. In other words, honey could be considered a “high fructose” type of sweetener. Maple syrup: about 60% sugar, with that sugar being 95% sucrose, 4% glucose and 1% fructose. It is also half fructose, typical of most “natural” sugars. Apples: over 10% sugar, 57% fructose, 23% glucose and 20% sucrose. This is really high fructose. Peaches: 8.4% sugar, 57% sucrose, 23% glucose and 18% fructose. Again, this is just a tiny bit less than half fructose. Grapes: 15% sugar, with the sugars being 53% fructose and 47% glucose. And once more, fairly high levels of fructose. So if you buy into the fact that HFCS is the same as all sugars, but you are scared of the fructose component, well that’s not very logical, given the high fructose levels in most foods. It’s pretty much impossible to avoid, as long as you eat anything made of carbohydrates. I guess you could switch to a paleo diet – or not. HFCS is not really all that high in fructose, it’s only 55% indistinguishable from 50% fructose in table sugar. Fructose is common in many different foods, some with a lot higher amount than found in your typical HFCS soda. As far as we can tell, there is no evidence of a link between high fructose corn syrup and cancer. In fact there is some evidence that dismiss a link between them. Liu H, Huang D, McArthur DL, Boros LG, Nissen N, Heaney AP. Fructose induces transketolase flux to promote pancreatic cancer growth. Cancer Res. 2010 Aug 1;70(15):6368-76. doi: 10.1158/0008-5472.CAN-09-4615. PubMed PMID: 20647326. Wang Z, Uchida K, Ohnaka K, Morita M, Toyomura K, Kono S, Ueki T, Tanaka M, Kakeji Y, Maehara Y, Okamura T, Ikejiri K, Futami K, Maekawa T, Yasunami Y, Takenaka K, Ichimiya H, Terasaka R. Sugars, sucrose and colorectal cancer risk: the Fukuoka colorectal cancer study. Scand J Gastroenterol. 2014 May;49(5):581-8. doi: 10.3109/00365521.2013.822091. PubMed PMID: 24716480; PubMed Central PMCID: PMC4025586.